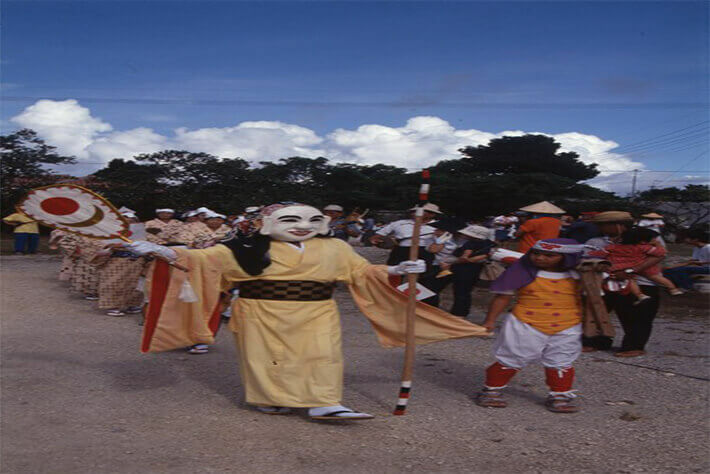 Hateruma Island is the southernmost inhabited island of Japan and is located approximately 60 kilometers south of Ishigaki Island, approximately 60-80 minutes by express ferry from the Ishigaki Port Outlying Island Terminal, and has less than 500 residents. 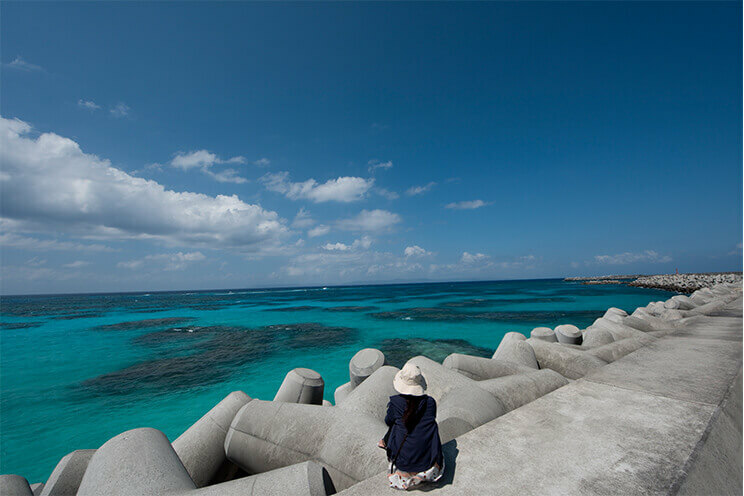 The name Hateruma Island is said to be the etymology of “the island of the uruma (coral reef) on the edge,” and with high transparency, the sea that shimmers in blue is known as Hateruma Blue, which is considered to be one of the most beautiful seas in Okinawa. 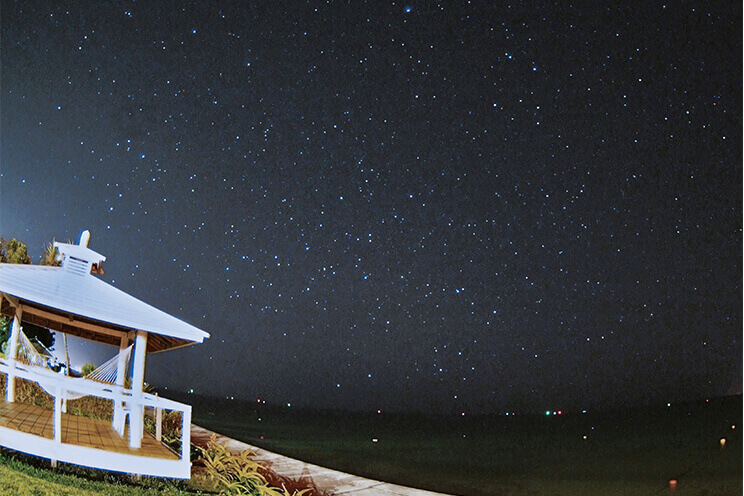 Hateruma Island is also the island that is closest to the Southern Cross among the Yaeyama Islands, where you can experience the starry night sky. The beauty of the blue ocean and shimmering stars is truly captivating. These memories will be leaving Hateruma Island with you and remaining for life. The southernmost island of Japan, Hateruma Island, is known as a place suitable for viewing the starry night sky with few town lights and other distractions, and is most suitable for viewing the Southern Cross. 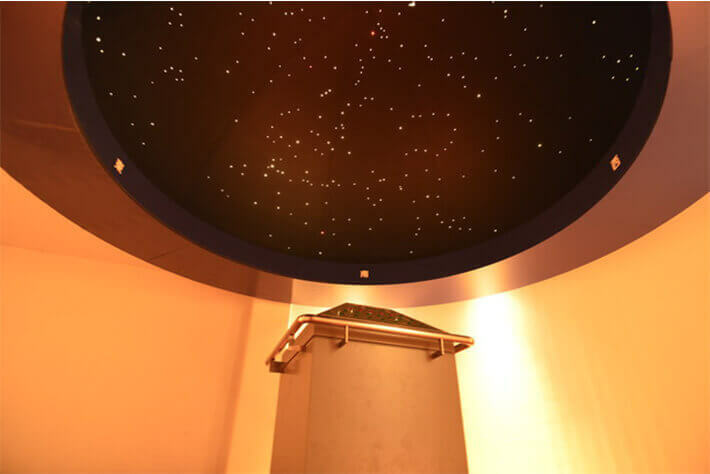 Approximately 15 minutes by car from Hateruma Port, the Hateruma Island Starry Sky Observation Tower offers an explanation of the stars provided by a Starry Sky Guide under the night sky full of stars. From late April to mid-June, you can also observe the Southern Cross from this center on a clear evening. 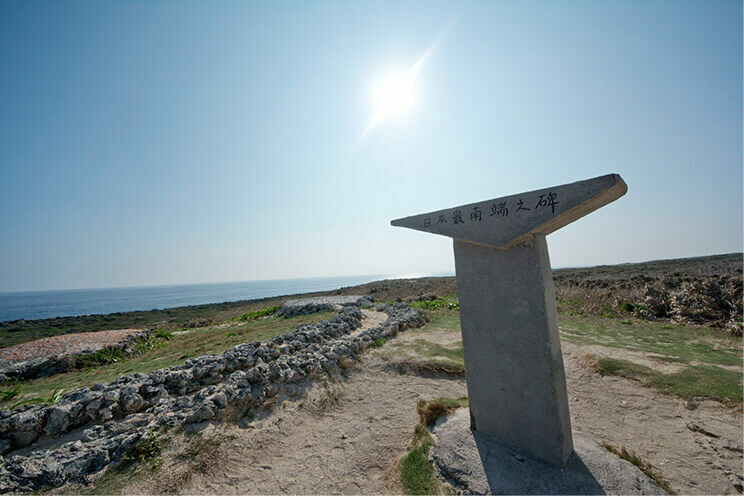 The Monument of Japan’s Southernmost Point is the perfect location for vacationers on Hateruma Island to take a commemorative photo. It is highly recommend that you visit during your trip to Hateruma Island. The distance from the Hateruma Port to the Monument of Japan’s Southernmost Point is roughly 25 minutes by car. Be sure to take a memorable picture with your best smile standing in front of the blue sea in a tropical setting at the southernmost point on the southernmost island of Japan. The crystal clear blue waters of the sea surrounding Hateruma Island are known as Hateruma Blue. 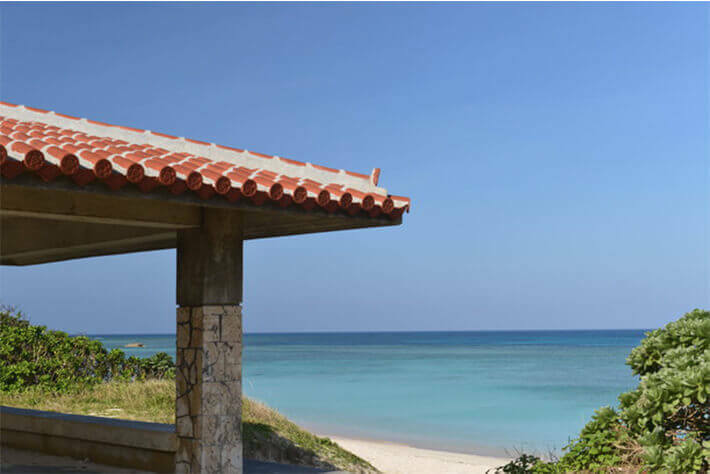 Nishihama Beach on the northwestern part of the island is a particularly popular beach with top-class transparency among the beaches in Okinawa. 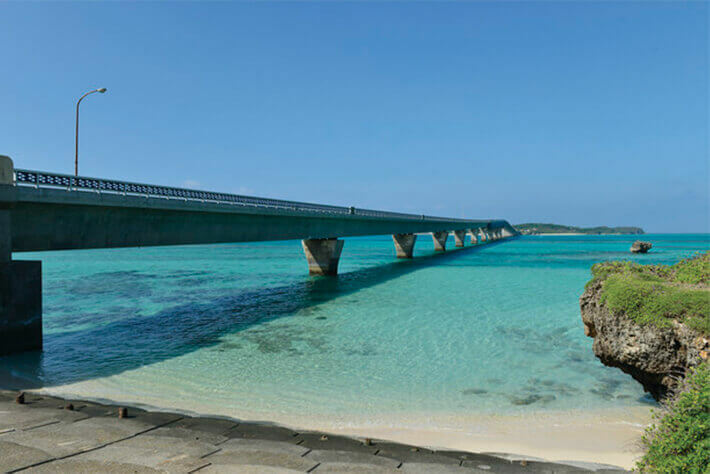 The gradience of the water, which gradually deepens as it extends outward from the white sandy beach that stretches roughly 1 kilometer is incredibly beautiful, captivating all those visiting Nishihama. Flights: Ishigaki to Hateruma (15 minutes) *Planned to resume in October, 2015.